In the late 1880s and early 1900s Lake Apopka was the 2nd largest lake in Florida and a popular spot for recreational fishing tournaments. Much of the land around the lake was being farmed and used for agricultural purposes, and there were numerous fishing camps around the area. In the early 1920s the city of Winter Garden began discharging sewage into the lake, and by the 1940s the farms along the north shore were discharging nutrients into the lake. In the early 1950s a lake stabilization program was started, but the quality and quantity of game fish had already begun to deteriorate. Roughly 20 fishing camps were operating on the lake but only 18% of the fish population was game fish. By the mid 1960s nearly all of the former marsh land on the north shore of the lake was being farmed with DDT and other pesticides, and fish kills had become widespread. There were only 9 fish camps left in operation at this time. In 1966 citizens began to organize to stop the pollution, and by 1970 state and federal restorations efforts had begun. By the mid 1970s bass production was failing and there were only 4 fish camps left on the lake. A final Environmental Impact Statement for restoration projects was required by the US EPA, but not before another massive fish kill in 1981. In 1985 the Lake Apopka Restoration Act was passed, establishing a restoration council and technical advisory committee. In 1988, the St Johns River Water Management District (SJRWMD) was given authority to regulate discharges into the lake and the Marsh Flow-Way Project began. In 1992 a group of concerned citizens organized to become the Friends of Lake Apopka (FOLA), with the initial purpose of halting the pollutant discharges into the lake. The founders of FOLA knew that as the lake was restored development around the Lake would increase, so they searched for land along the shoreline that would provide a window to the restoration process, and a place for the restoration to be interpreted for the public. Purchasing and restoring the property was a much bigger project than FOLA could manage alone, so they decided to create a separate group to manage and continue the project. Oakland Nature Preserve (ONP) was established in 1997 as a 501(c)3 nonprofit corporation, and began the daunting task of gathering the resources necessary to complete the land acquisition. 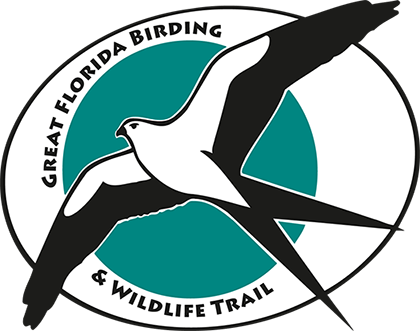 With a grant from Florida Communities Trust (FCT), contributions by SJRWMD and the Florida Department of Environmental Protection, and over one-half million dollars in donations, ONP was able to complete the land acquisition in 1999. Once the property purchase was completed, the ecologic restoration work began. The site had been used for citrus farming for many years, and the goal was to restore the land to its original sandhill ecology. As the restoration work began, exotic species were removed and native plant species were planted. Simultaneously, gopher tortoises were introduced and as the plant community improved, native bird and mammal species began to reappear. To promote an understanding of the fragile balance between mankind and the environment by educating visitors about Lake Apopka basin's ecosystems and cultural history, and by restoring and conserving the lands within the Preserve. The Preserve encompasses 128 acres of land - 48 acres of uplands and 80 acres of forested wetlands - and includes a boardwalk to Lake Apopka with a classroom-sized pavilion on the lakefront, and a pavilion on the West Orange Trail. Interpretive signs through the Preserve help visitors identify plant species, while our log cabin-style Education Center, modeled after a pioneer homestead, includes a classroom, museum, office, and restrooms. In addition to providing a window to the ongoing restoration of Lake Apopka, the Preserve features diverse biological, geological, and topographical features, rapidly vanishing in Central Florida. The Preserve also offers recreational and educational opportunities in a living classroom, perfect for learning about the ecology of Florida. We offer memberships, field trips, guided tours, summer camps and programs for visitors. Volunteers are welcome to assist with everything from visitor tours to restoration projects, and donations are greatly appreciated. To learn more, email us or call (407) 905-0054.